Last month we released 2 very unusual episodes of the Super Live Adventure Podcast, and the response has been great. 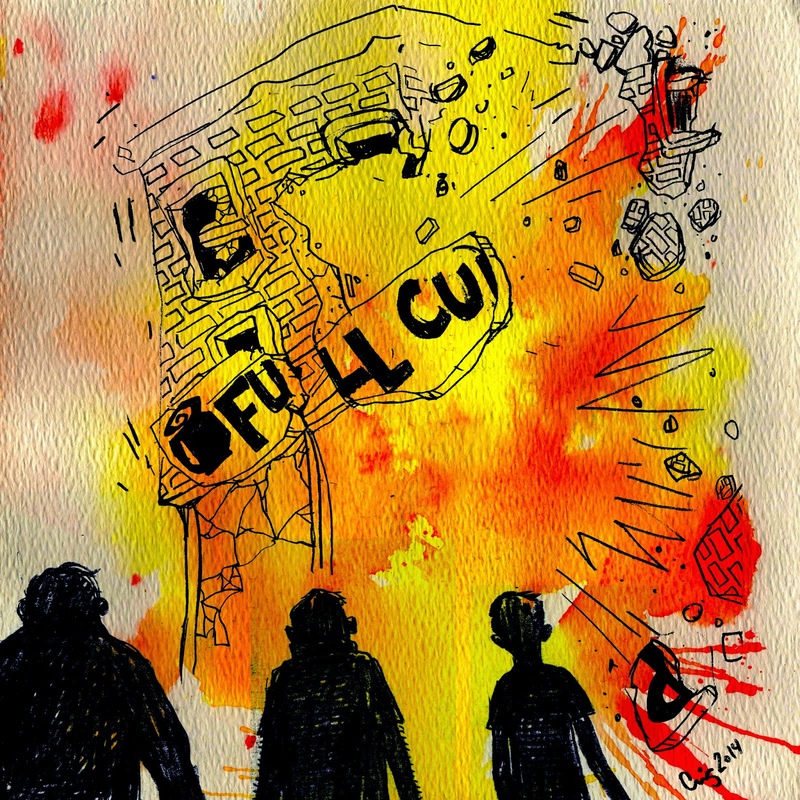 In Episode 27: "Move the Bodies, Burn the Bones," you can listen to our infamous last show at Full Cup. It's infuriating, sad and hilarious. It was hard for us to say goodbye to our comedy home, but if you listen to that episode, you'll understand why. 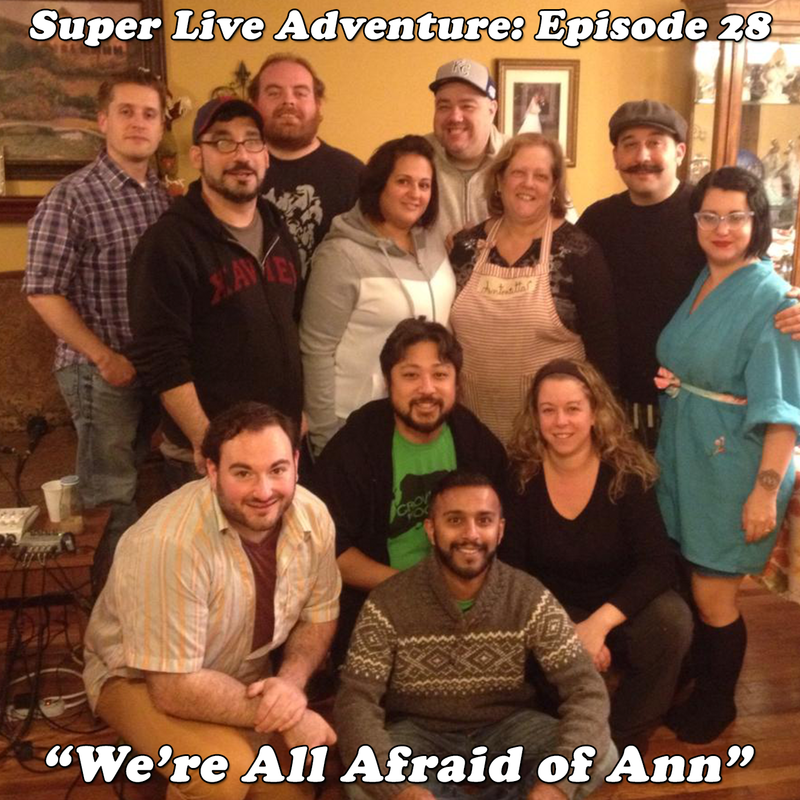 In Episode 28: "We're All Afraid of Ann," Laura Bruij-Williams' mom wakes up to find us recording a surprise episode in her house as she tries to get ready for an over-the-top Thanksgiving dinner. The end result is an almost 4-hour episode that is one of the funniest things I've ever been a part of. We also had a lot of guests stop by or call in, including Jay Miller (Mid-Evenings), Frank Williams (Wahoo Skiffle Crazies), Nick Williams (Cirque Du Gras), Geoff Celis (Some Guys Are Bigger Than Others), Phil Raia Jr. (Turnbuckle Throwbacks Wrestling Podcast), Vin Forte (That Time of the Month Podcast), and more! Search for #bruijwilliamsthanksgiving and #SLAPthanksgiving for photos and posts made throughout the recording. Thanks to everyone who has listened so far! If you're a fan of the show, please spread the word. Remember, the show can be heard for free at SuperLiveAdventure.com, iTunes, Stitcher, and most other podcasting sites.